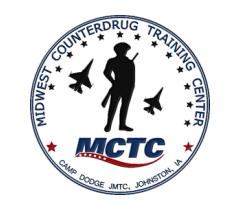 This course is open to US military, prevention and substance abuse treatment professionals. Adapted from the University of Kansas’ Work Group for Community Health and Development’s Building Capacity for Collaborative Action Training Curriculum, this one day training provides an evidence based, in-depth look into creating and maintaining substance abuse coalitions. To maintain a coalition, strong membership and participation is crucial. This course also provides insight into identifying key partners, then recruiting and retaining them as contributing members. Competence in each skill area covered in this course will be demonstrated by the development of planning products by student groups. At the end of the training, students will have a comprehensive understanding of course topics and the capability to start and maintain coalitions as well as retain quality membership. This course can be combined with another one day course titled Sustain! for a two day course titled Effective Work Through the Coalition Lifespan. The KU Work Group has developed a training curriculum based on the Community Tool Box that outlines 16 competencies for promoting community health and development. These competencies include: creating and maintaining coalitions and partnerships, assessing community needs and resources, analyzing problems and goals, developing a framework or model of change, developing strategic and action plans, building leadership, developing an intervention, increasing participation and membership, enhancing cultural competence, advocating for change, influencing policy development, evaluating the initiative, implementing a social marketing campaign, writing a grant application for funding, improving organizational management and development, and sustaining the project or initiative.